Centiva’s history is an exciting story of an entrepreneurial company that started small, got bigger, and joined a larger company to become even better. We are not satisfied with our progress and probably never will be, knowing that remaining eager for change and incorporating new ideas is essential to be the company we need to be for tomorrow’s customers. We joined Tarkett in 2010, a flooring company that we had admired for years, and are now excited to be a genuine part of. 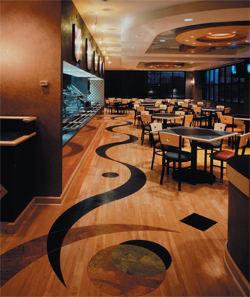 Tarkett is a worldwide leader of innovative and sustainable flooring. Together we are further developing Centiva, expanding our product line, and implementing new ideas faster than ever.